Mar 14 Comments Off on Is Dental Treatment Safe During Pregnancy? One of the most common concerns I encounter in my office is how to handle dental care during pregnancy. With all the well-known precautions about alcohol, caffeine, seafood, and more, it’s understandable that many pregnant women are apprehensive about receiving dental treatment. Unfortunately, there is a lot of misinformation about the safety of routine dental treatment for pregnant women. Who better to consult on this matter than the experts on pregnancy, The American College of Obstetricians and Gynecologists? 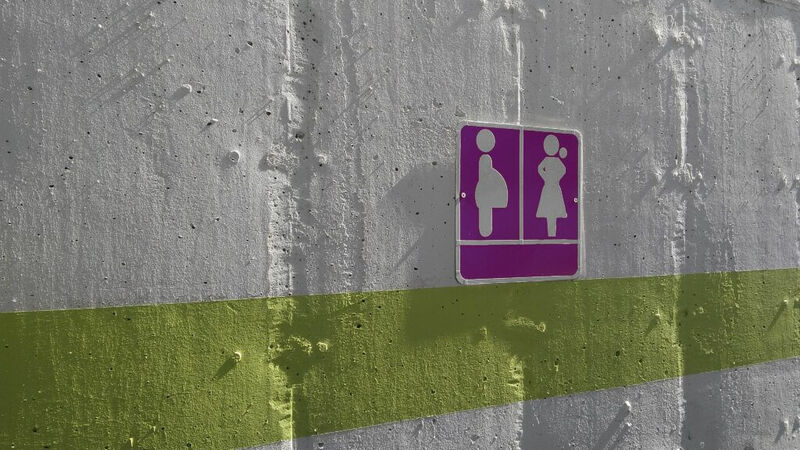 Time and time again, OB/GyN doctors have confirmed, not only the safety of dental treatment during pregnancy, but the heightened importance of oral health care during pregnancy. The above article from the ACOG recommends that pregnant women proceed with treatment recommended by their dentist, including fillings, root canals and extractions, as well as focusing on prevention by keeping up with cleanings, exams and X-rays. (Yes, X-rays too!) The risks of dental x-rays are so misunderstood that I will have to dedicate a future blog post to this topic alone. Still confused about dental care during pregnancy? Keep reading to find out how we can help. Suffice to say, while we continue to follow the practice of ALARA (as low as reasonably achievable) for the use of dental x-rays, the risk of missing an infection or decay that could lead to an emergency is far higher than that of taking routine x-rays. This fact is especially true when we consider modern safety measures that have decreased x-ray radiation significantly. These include lead apron coverage for the abdomen and thyroid, as well as technological advances such as collimation, digital sensors, and handheld x-ray devices that further lower the amount of radiation. Another misconception is that local anesthetic can be harmful during pregnancy. 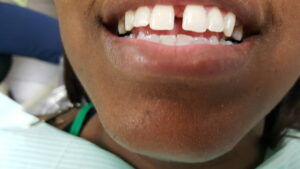 This has led some women as far as refusing anesthetic in cases of emergency dental treatment! In reality, the most commonly used local anesthetic, Lidocaine, is considered safe to use for dental treatment by the ACOG. Finally, I want to emphasize the importance of oral hygiene during pregnancy. While concerns about dental x-rays and local anesthetic during pregnancy are almost entirely unfounded, we can easily link pregnancy with a higher risk of oral diseases, including gingivitis, or swelling of the gums, erosion of the teeth, and the development of cavities, due to a number of factors such as hormonal changes, cravings, dry mouth, and vomiting. This makes it especially important to seek routine preventive dental care during pregnancy! I hope this post has been beneficial, and as always, please feel free to email me with any specific questions at doctor@wavedentaltx.com. Thank you for reading! Aug 17 Comments Off on Should I remove my silver fillings? Amalgam fillings, otherwise known as silver fillings, have been used for over 100 years to restore decayed and broken teeth, but have recently become quite controversial. As with any aspect of your health, it is important to be well informed about amalgam in order to make the right decision! Dental amalgam is a mixture of metals, including silver, copper, tin, and mercury. Mercury is necessary to make the metal soft enough to use for a filling, but is also toxic and known to cause adverse health effects, which has lead to great concern among patients. In the past, it was thought that, after the initial placement, the mercury in an amalgam filling became completely inert, and therefore safe. But recent studies have shown that very small amounts of mercury vapor are released when chewing. But like any toxic substance, we are exposed to mercury all the time via food, air, and water, and the real question is whether the amount released by an amalgam filling is high enough to cause adverse effects. The FDA has determined that this amount is not enough to cause harm to the general population, and has deemed amalgam fillings to be safe for individuals over the age of 6. However, a significant amount of mercury vapor and powder is released upon initial placement and removal of amalgam fillings, so precautions should be taken. For example, it is not recommended for women to have amalgam fillings placed or removed during pregnancy. Most patients no longer want to have metal fillings placed in their teeth, for cosmetic reasons as well as concerns about mercury. Composite resin is a plastic-like, tooth colored material that is most commonly used for ordinary fillings. Although mercury-free and more esthetic than amalgam, composite resin is not quite as strong and may not be indicated for larger fillings. Also, many patients do not realize that most composite resins contain a small amount of BPA, a potentially carcinogenic material, so it is not entirely consistent to choose composite over amalgam out of fear of toxic materials. (All the more reason to practice preventive care and keep your teeth cavity-free!) Some newer composites do not contain BPA, so if this is a concern for you, speak with your dentist about the type of composite they use. Finally, composite resin requires very dry conditions in order to bond properly to the tooth, so some cases are not very suitable for composite resin. Here at Wave Dental, we strive to use the best materials possible, and our composite is a newer, hybrid ceramic-like material that is BPA free and more resilient than traditional composite resins. 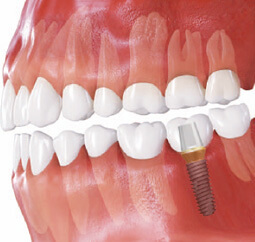 In addition to composite resin, ceramic or gold inlays and onlays may be indicated in some cases. Keep an eye out for a future blog post discussing all the possible restorative materials! Before and after replacing amalgam fillings with composite. It’s understandable to want to be on the safe side and avoid mercury, but that doesn’t mean that you should rush to your dentist and have your amalgam fillings removed. In fact, significant amounts of mercury vapor are released upon destruction and removal of an amalgam filling, so you would actually be increasing your mercury exposure by having them replaced! 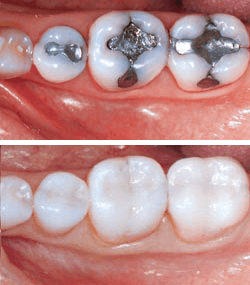 Amalgam fillings should only be replaced if they are broken or have developed recurrent decay. Be wary of dentists who try to convince you to replace all of your metal fillings for health reasons, as this is unnecessary and counterproductive. But what if I’m allergic? Some people have sensitivities to metal in general, but an actual allergy to the mercury in amalgam is extremely rare, and there have been less than 100 cases ever reported. If you know that you are allergic to certain metals, you should discuss this with your dentist and consider other filling materials. According to a survey by Delta Dental, only about 41% of Americans floss daily, although that number may be much lower, since another survey by the American Academy of Periodontology showed that 27% of people lie to their dentist about flossing…. Well, there is no need to lie, since I never judge my patients, but I do want to make sure you get the information you need to keep your teeth and gums healthy! So how important is flossing, really? I can’t count the number of times I’ve told a patient they have cavities, and they’ve asked me, “It’s because I don’t floss enough, huh?”. Well, you may be surprised to know that I tend to answer, “No, that’s probably not it”. Don’t get me wrong, flossing is an important method of keeping your gums healthy and free of plaque, which in turn may decrease your chances of getting cavities, especially between your teeth. 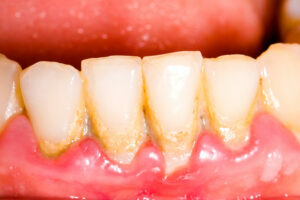 However, the appearance of cavities in between the teeth is usually the result of a sugary habit! That’s right, your daily Dr. Pepper or coffee with hazelnut creamer is far more likely to be the culprit behind your tooth decay than your lackadaisical flossing habits. I will go into more detail about the relationship between diet and tooth decay in another blog post, but for now, we’ll look at why you should still floss! 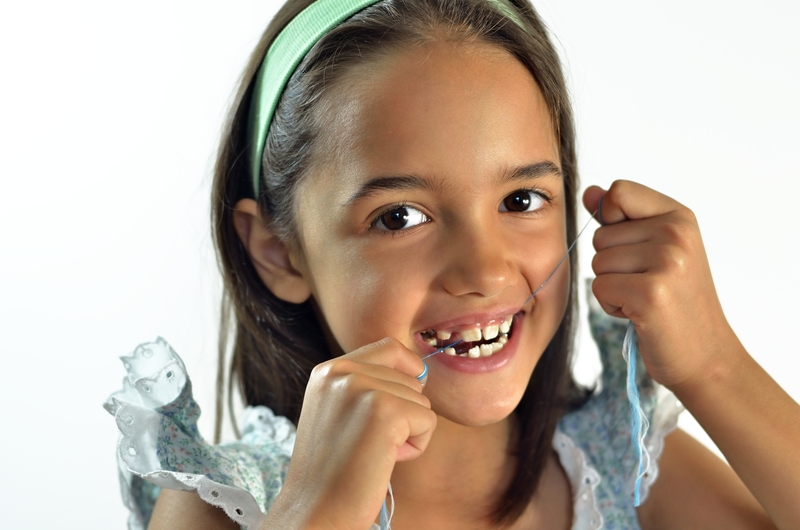 When should children start flossing? When any two teeth start to touch, it’s time to start flossing them! You may be surprised to learn that science has yet to actually prove that flossing directly reduces the rate at which you develop cavities. I do not state this to downplay the importance of flossing, but to highlight the fact that proper diet and brushing technique is the best way to prevent cavities! Although brushing alone will never completely remove the plaque between your teeth, proper technique and thorough attention with a good toothbrush can significantly reduce the amount of this plaque. So why floss? Well, just as healthy trees cannot survive without sufficient soil, your teeth cannot survive without the surrounding tissue called the periodontium, which consists of the bone, gums, and ligaments. Inflammation and disease of this type of tissue is called periodontitis, which accounts for the number 1 cause of tooth loss! While factors such as smoking, diabetes, and diet can contribute to periodontal disease, regular plaque removal is still the most important way to prevent this inflammatory process. Have you ever noticed that your gums bleed when you brush or floss? This is due to inflammation caused by plaque accumulation and is referred to as gingivitis, a precursor to periodontitis. The good news is, healthy oral hygiene habits such as flossing can easily reverse gingivitis and prevent periodontitis. You may find that your teeth are too tight in certain areas to allow you to floss comfortably, but don’t give up! There are several products to help you clean between your teeth. AirFloss by Sonicare is one such product that several of my patients have benefitted from. I personally like to use Listerine Ultraclean flossing sticks with disposable heads to reach difficult areas. Also, the right kind of floss can make a huge difference. My floss of choice is GUM Butterweave, which is strong enough to get into tight areas without acheter viagra tearing or shredding, but feel free to try several brands to find what works for you! Although regular floss provides more flexibility to clean between the teeth, floss picks can be a great alternative for those who have trouble flossing. Thanks for reading this week’s post, and as always, if you have any questions about flossing or anything else, feel free to email me at doctor@wavedentaltx.com! Mar 22 Comments Off on Do You Mind Your Gap? Do You Mind Your Gap? Depending on who you ask, a gap between the two front teeth can be considered unsightly, beautiful, or not even noticeable. While there is no harm in having a gap here as long as it does not interfere with speech or cause food to get stuck in between the teeth, many patients express a desire to close it for esthetic reasons. 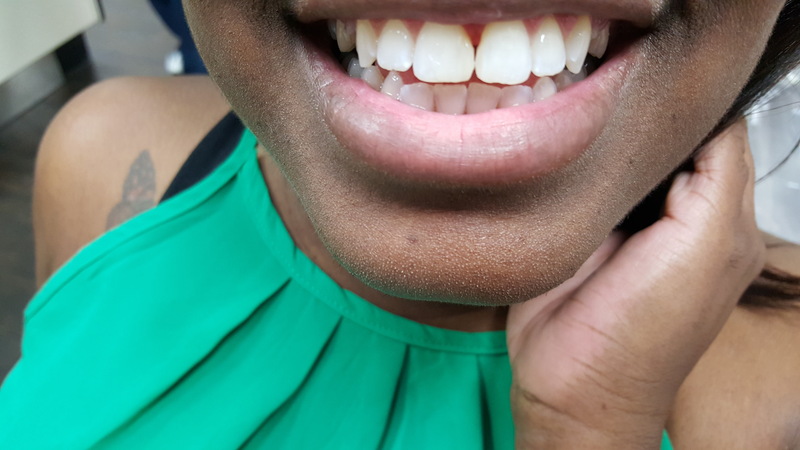 In today’s post, I’d like to discuss some of the ways in which this can be achieved, as well as sharing a case we did right here at Wave Dental for a happy patient! The first method, orthodontics, is the most comprehensive, and is recommended for patients with multiple gaps, a very wide gap in the front, or other issues with alignment. Braces can be very effective at closing gaps without a need to shave the teeth down or add resin between them. However, some patients do not wish to have braces, and some cases are best closed with different methods. Luckily, we have a couple more options. The second method is bonding, which is what I used for this week’s featured patient, who we will call Margaret. Margaret had been afraid to smile in photographs and wanted her gap closed before leaving the next day on vacation. Margaret was unhappy with the appearance of the wide gap between her teeth, and was interested in bonding. I told her that it could be done, but veneers or braces would look more natural due to the large nature of her gap. With this method, we use composite resin, the same material we use for white fillings when you have a cavity, to fill the gap. 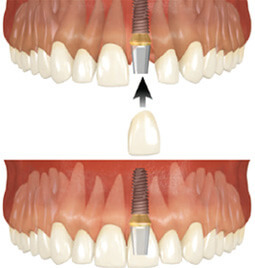 The advantage of this treatment is that the teeth only need to be roughened and not shaved down. It is also the quickest and most affordable of the three methods. The disadvantage is that there is a possibility that the material could chip off due to an injury or over time with heavy use, which is why I do not recommend biting into apples, carrots, or other very hard foods with the front teeth after bonding, although it does last for many, many years for most patients. Although other methods would have allowed us to close the gap without making her teeth wider, Margaret preferred bonding, and we were still able to give her a natural look she was very pleased with! The final method is to restore the gap with veneers. This is the most dramatic solution, and although much more expensive than bonding, it is ideal for very large gaps, multiple gaps between the front teeth, and patients that are very concerned about esthetics. Recent advantages in dental materials allow us to cover the front of the teeth with veneers with very little reduction, or shaving down, of the original teeth. Look out for a future post all about veneers! 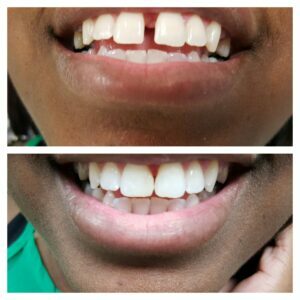 Before and after restoring Margaret’s gap with bonding. She was all smiles in time for her vacation! Thank you for reading this week’s post! If you have any concerns about gaps between your teeth, feel free to call our office or email me at doctor@wavedentaltx.com! Mar 22 Comments Off on Is Fluoride Safe? Few topics generate as much controversy as community water fluoridation, and chances are, you’ve heard someone complain about the government putting fluoride in our water supply. Begun as a public health project in 1945, the initiative immediately drew accusations of communist subversion, mind control, and more. Controversy surrounding fluoride has continued to this day, as many U.S. cities debate whether to fluoridate their water. In this week’s post, I’ve put together some useful information to let you make an informed decision on your family’s use of fluoridated water and dental products. Feel free to skip to the recommendations section if you’re impatient to know how much fluoride is safe for you! Fluoride itself is an ion of the element fluorine, but many compounds containing fluoride are also commonly called fluorides (for example, sodium fluoride in toothpaste). Fluoride occurs naturally in groundwater, although different parts of the world vary highly in the amount of fluoride. After it was discovered that people living in areas with fluoride levels of approximately 1 part per million (ppm) had a lower rate of dental decay, many cities began to add fluoride to their water supply, and the Center for Disease Control considers community water fluoridation to be one of the top 10 public health achievements of the 20th century. However, many cities choose not fluoridate their water with mixed results, and localities around the country continue to debate its benefits. Toothpastes and other dental products also contain fluoride compounds that have been shown to help prevent decay and remineralize damaged enamel. 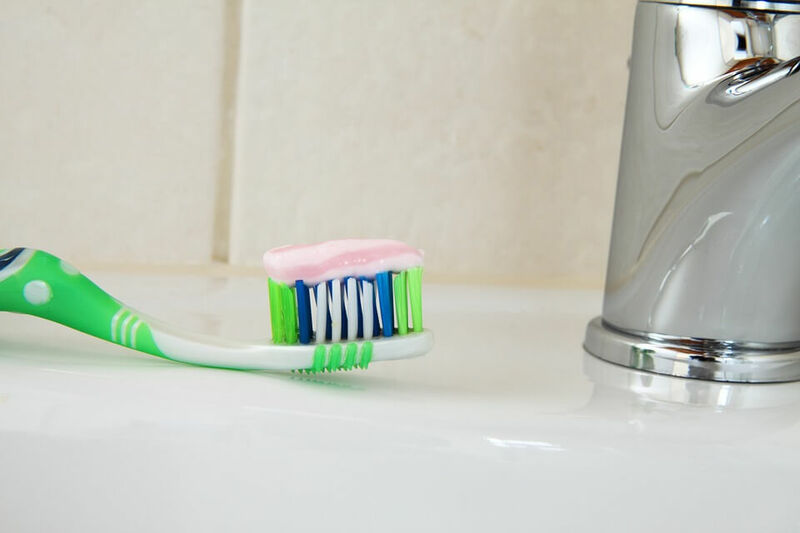 Fluoride is an active ingredient in most toothpastes and other dental products. Various anti-fluoride advocates have claimed that fluoride causes brain damage, cancer, and other health risks. Although many studies have been done on fluoride, the results can be conflicting and confusing. For example, studies in China have stirred up alarm at an apparent link between lower IQs and fluoride levels. But several other environmental factors that could affect IQ were not considered in most of these studies, and the fluoride levels in many of these areas were often many times higher than those participating in community water fluoridation, where similar studies have shown no such link. The studies investigating the preventive effects of community water fluoridation similarly vary widely in results from one region to another. Does your cat need fluoride? No studies could be found on the subject. Also, it is now known that the main advantages of fluoride in preventing decay are in its topical application to teeth and not in its ingestion, while ingesting excess fluoride can cause staining of the teeth called fluorosis and may be problematic to individuals with kidney failure and some other illnesses, so there is a legitimate debate around the cessation or modification of current water fluoridation practices. So, while I cannot control the level of fluoridation of your water, the good news is, you have some control over what kind of water you drink, and as a dentist, I can provide my informed recommendation, as I do at the end of this article. It is important to note here, that an excess of almost any compound (including water) can cause severe health problems and even death. You wouldn’t let your child drink an entire bottle of cough syrup due to your understanding of the dangerous effects, but you also wouldn’t refrain from giving your child medicine based on that knowledge, so there is no need for alarm at the mere fact that there is fluoride in your water or toothpaste. In my opinion, the question is not whether fluoride is safe, but to what extent we should be exposed to it. There is plenty of evidence to show that fluoride can prevent caries, and even remineralize damaged enamel in the early stages of dental decay. Although more serious health risks of fluoride are highly debatable, the most common side effect of increased fluoride consumption is fluorosis, a type of staining of the teeth, and this alone is reason enough to take reasonable precautions. One very interesting thing I learned through my research for this article is that, even within a certain county, there may be hundreds of different water supplies, each with a completely different level of fluoride. The CDC’s link below can show you what the fluoride level is in your area. The CDC considers 0.7 milligrams/liter to be sufficient for preventing tooth decay while remaining safe. My recommendation to parents of young children is to make sure a significant amount of their drinking water is fluoridated at this level, although it is not necessary to drink 100% fluoridated water, especially in areas with high concentrations of fluoride where fluorosis may be a concern. 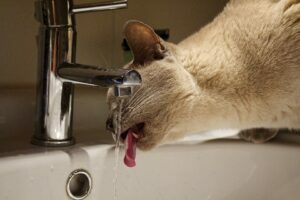 Tap water may be filtered for taste and the presence of impurities and still keep its fluoride, as long as it is not gravity filtered or filtered through reverse osmosis. Bottled water differs widely in the amount of fluoride it contains, so if it makes up a large percentage of your child’s water consumption, check with the company that distributes it to know more. Gallons of fluoridated water are labelled as such at most grocery stores, while distilled or purified water does not contain fluoride. 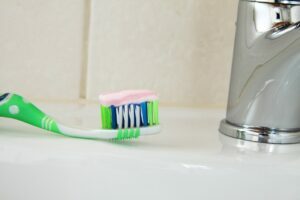 The ADA recommends fluoridated toothpaste for all ages, although only a small smear is necessary for children under 3, and non-fluoridated toothpaste may be used if you are concerned that your child is unable to spit. For children over the age of 3, a pea size amount of fluoridated toothpaste is sufficient, but again, children should be spitting the toothpaste out instead of swallowing it. The professional application of topical fluoride every 6 months has been shown to be effective in preventing decay, so make sure to keep your children current with their dental check-ups! Check out my previous blog post here for more information on how to prevent cavities in your children’s teeth. In adolescent and adult patients, fluoridated water is less important, but the remineralizing effects of fluoride application are powerful and could save you a lot of time, money, and pain in the event that your teeth display signs of demineralization or a high risk of decay. Make sure to keep up with your 6-month exams and cleanings to catch demineralization early so that your dentist may treat it appropriately with prescription strength toothpaste or topical fluoride application. I hope this post clarifies any confusion you may have about fluoride, but as always, feel free to email me at doctor@wavedentaltx.com or call or visit our office for more information! Happy National Children’s Dental Health Month! It is a common trait among parents to put their children’s health concerns above their own. So for my first blog post,what better topic to address than some of the most common questions parents have about their children’s teeth? Preventing cavities starts with a proper diet! 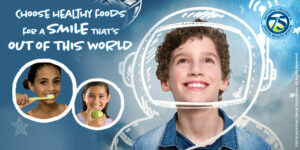 Click to check out the latest nutrition tips from the ADA for National Children’s Dental Health Month. Question : What kind of toothbrush/paste should I use to clean my infant or child’s teeth? Answer: All children should use soft-bristled brushes, and children under the age of three would be best served by toothbrushes with a smaller head, designed especially for infants. Very young children should use a brush with a small head and just a smear of toothpaste, while older children may use a pea-size amount. Although parents may be concerned about fluoridated toothpaste for infants, the American Academy of Pediatric Dentistry now recommends fluoridated toothpaste for children of all ages. For children under three, a small smear of toothpaste will suffice, while children over the age of 3 can use a pea-sized amount. All children should always spit toothpaste out rather than swallow it. If you find that your child is unable to spit, you may have them use a fluoride free toothpaste just until they are old enough to spit. Question: At what age should my child start seeing the dentist? The appearance of your child’s first tooth means it’s time for their first appointment! 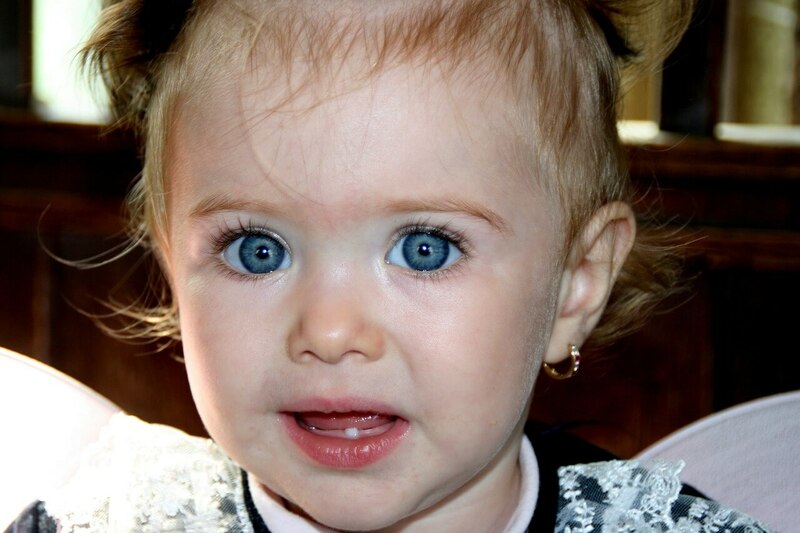 Answer: We love kids at Wave Dental and are happy to see children as young as 6 months old! Children should see the dentist once their first tooth appears, or at least by their first birthday. Question: Do I really need to take care of my child’s cavities? Don’t the baby teeth fall out anyway? Answer: While baby teeth do fall out naturally when it is time for the adult teeth to come in, this does not mean that they can be ignored! Although some of the front teeth fall out when children are as young as 6, the baby molars, or back teeth, have an important purpose to serve in chewing and typically do not fall out until a child is 11 or 12, so not all baby teeth are the same! Allowing baby teeth to decay without treatment can have several negative effects. First, the cavity may reach the nerve of the tooth, where it can cause a painful infection, which not only causes you and your child stress and misery, but can end up requiring extraction of the tooth before its time. This, in turn, can disrupt the spacing of your child’s teeth, leading to problems in the alignment of the adult, or permanent, teeth. That’s it for now! If you have further questions, feel free to email me at doctor@wavedentaltx.com or call the office to schedule an appointment. My staff and I are always happy to address any concerns you have with you or your child’s oral health!